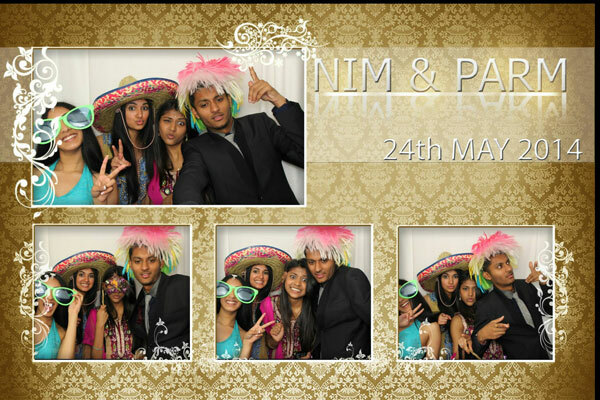 Looking for Windows Photo Booth Software? Click here. 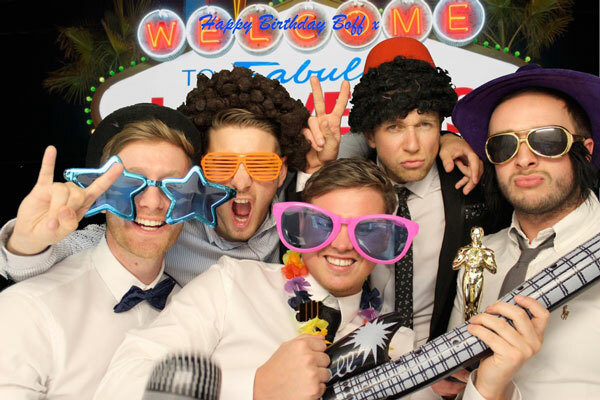 Our Apple Mac Photo Booth software is the UK’s favourite photo booth software. Easy to use yet packed full of features. 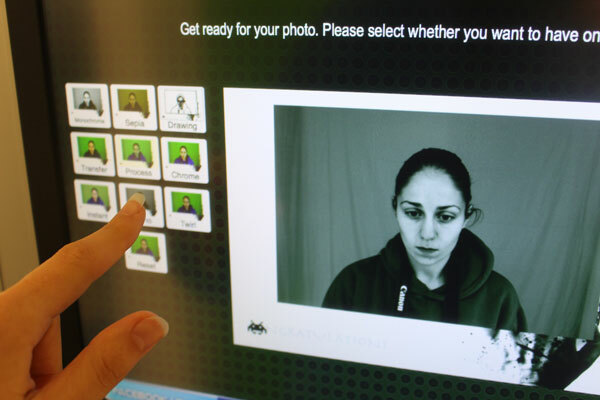 The Apple Mac Photo Booth software contains more features than the Windows software. Change all icons and buttons with designs of your own to make your Photo Booth interface completely unique to you. 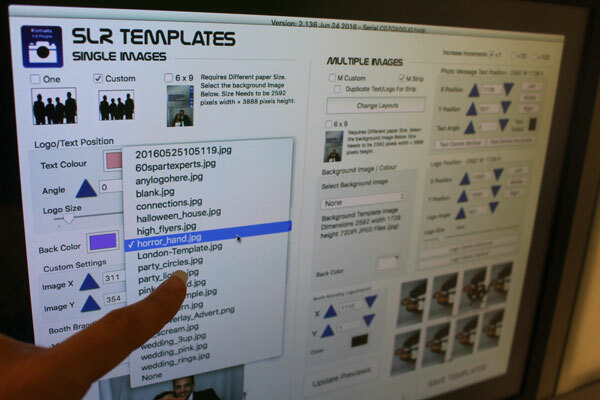 There are lots of options available to change the layouts of your photos. 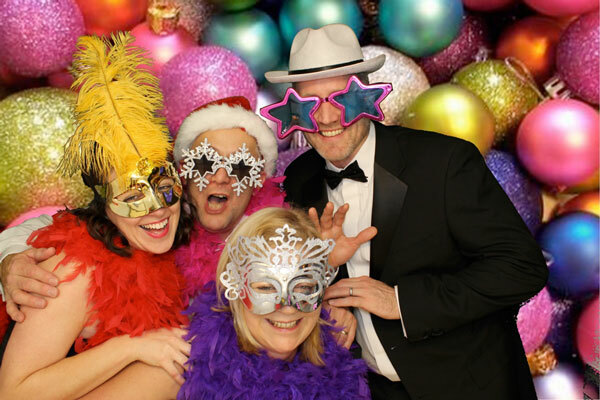 Our Mac Photo Booth software is capable of single, multiple, and strip printing. All of which can cater for custom templates, and custom positioning. Allow your customer to request custom text and graphics to appear as the photo background. Allows personal or corporate branding. The green screen system works in exactly the same way as it does in the movies. A green background behind the photo taken which allows the backdrop to be replaced by a custom digital image. 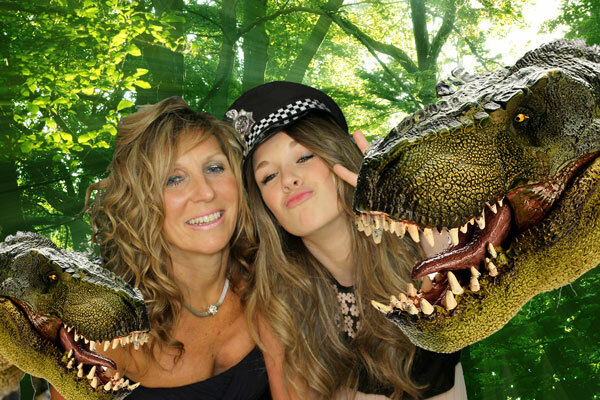 The Mac Photo Booth Software allows both 2 dimensional and immersive 3D backgrounds. The software comes pre-loaded with some to choose from but you can also upload your own. Apply digital face masks, beards, moustaches using facial recognition. Bring your photos to life with the Magic Photo feature. 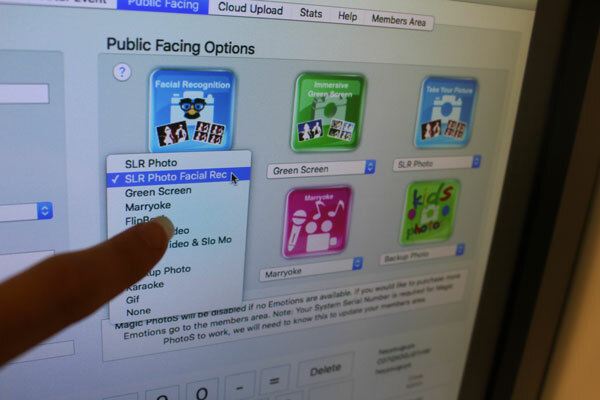 Record a personal message video in the photo booth, than choose a magic thumbnail photo to print. When scanned with a mobile phone* the video will play. *Requires the Magic Foto app. Magic Photos require credits to be hosted. 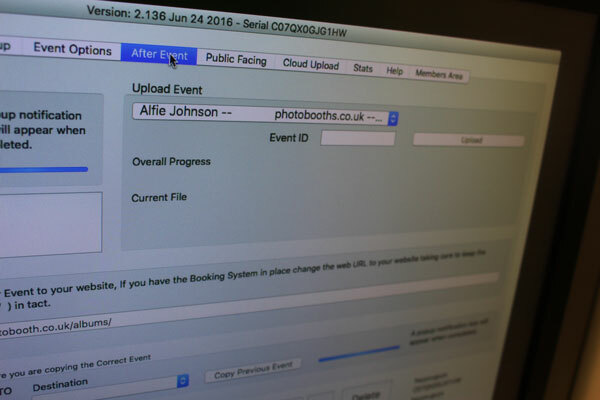 Record your favourite music hits using the Photo Booth Software for Apple Mac. The software captures sound and audio. It comes preloaded with more than 10+ tracks, but you also have the option of uploading your own too! Our Photo Booth software for Mac is also capabale of recording animated GIFs. This option is great for events, as you don’t need to spend any money on paper or ink. This option can be enabled or disabled at events. 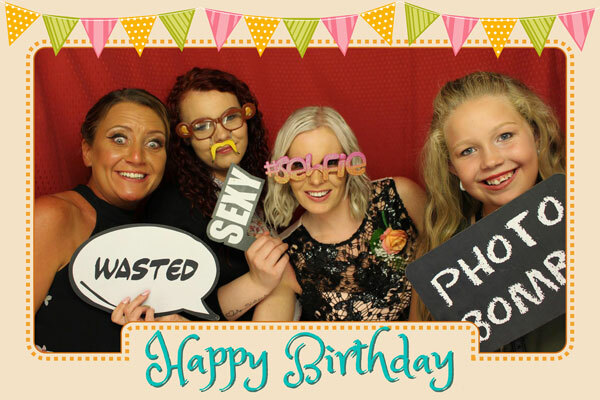 Let the photo booth guests record near unlimited video from your booth. 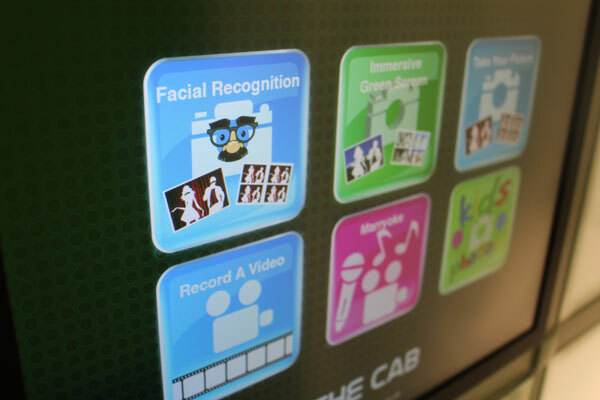 All touch screen operated with sound recording direct to your Laptop/PC. Once you have taken photos you can upload to Facebook, Twitter, or send to an E-mail address using the on screen keyboard. 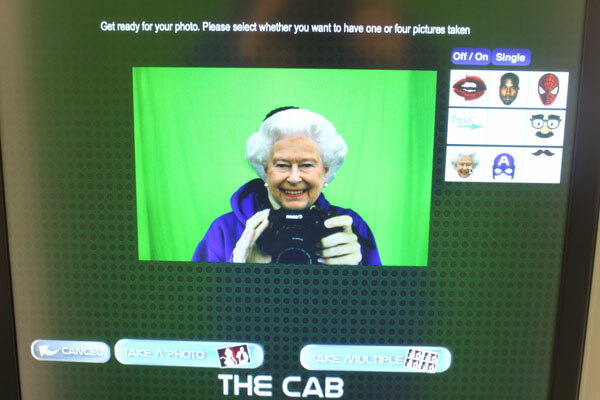 There is built-in on screen confirmation that guests are happy for the photo to be posted.